Instead of sleeping until noon in the hotel, why do you think about getting up early, go out and having breakfast with friends? 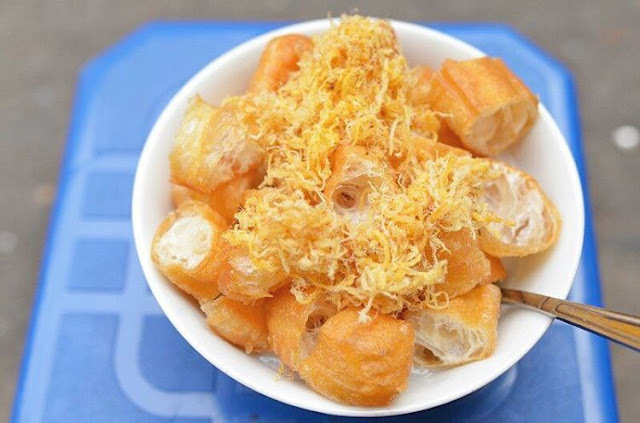 There is a good list of delicious breakfast dishes around the center of Hanoi that is only sold in a few hours. For the time being, you can hardly find a noodle soup restaurant that is open from 3 am like this. 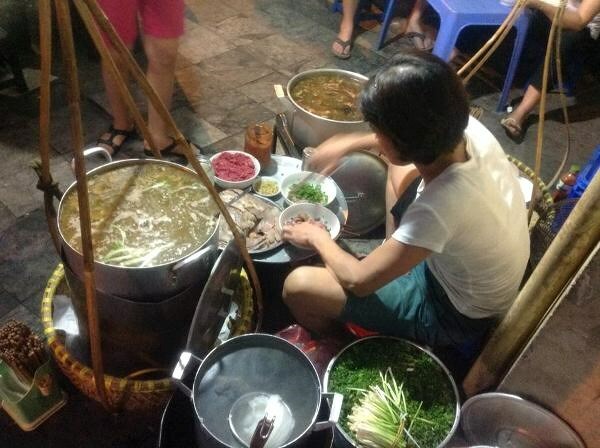 If you want to try Hang Chieu beef noodle soup, you should come out early from around 4 to 5 am, because if later, there will be no more delicious meat to enjoy. There are three types of noodle soup: Beef noodle soup with well-done lean meat, beef noodle soup with eye round steak, and noodle Soup with Stew Beef, but Noodle Soup with Stew Beef is the most popular. As sold by hawkers, it looks very simple. People evaluate the soup here is extremely delicious. However, because it is usually crowded between 4 to 5 am and sometimes there is not enough space for guests to eat so you may have to eat very quickly to stand up and make room for the next guest. This famous restaurant has long been located in the heart of Hanoi at a price of only 10k - 15k / each. Every day, she sells 3 to 4 big sticky rice baskets and only specializes in two kinds: Sticky Rice with Hominy and Sticky rice with mung bean. 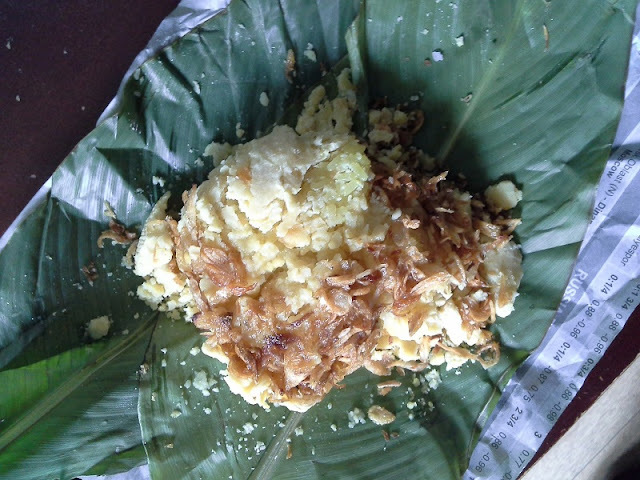 Many people evaluate the sticky rice here is soft and fragrant while the fried onion is crispy. Especially, green beans are also relatively fine, smooth and fragrant. Another great point is that she still uses banana leaves to pack the sticky rice. Porridge here is famous for being cooked from grinded rice. Porridge looks smooth and is served with crispy cruller on the top and a little homemade salted shredded pork. The porridge here will be sold for 10k - 15k - 20k, corresponding to the amount of porridge in the bowl. In the past, this restaurant opened from 6:30 to 8:30 am or 9 am but now due to the customer demand, the porridge was sold until 9:30 – 10:00 am. Hang Bo porridge is small on the sidewalks, but every morning, it is crowded with customers. Known as one of the handmade steamed wheat flour cake restaurant in Hanoi. It just sells three simple dishes: steamed wheat flour cake with meat, vegetarian steamed wheat flour cake and soy milk. The cake here is relatively large. The wrapper is very spongy and sweet, so it is easy to eat. However, the cake here does not have eggs like others, but the milk is considered relatively delicious, not too sweet with very clear taste. One morning getting up early and enjoying the combo of steamed wheat flour cake and milk is also a reasonable choice. Since the restaurant is famous from the past so if you want to try it, you should go early, otherwise, there is no more cake or milk to enjoy. Above is a list of food in Hanoi for breakfast that only sold in a few hours for you to experience during the holidays. Now, let’s invite your friends to go out and enjoy it!